Bit further along. Borrowed more David Gervais and Angband tiles. There is now mouse control, 4 PCs and random rooms filled with Orcs and Skeevers. No combat yet though. 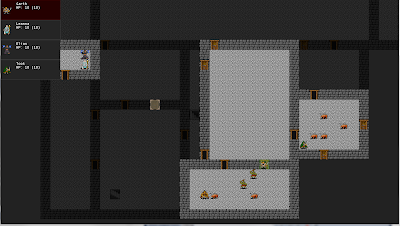 Basic idea is a Party Based, Short (aiming for 1h long) Roguelike. Probably with optional permadeath.